Before we delve in, I think it is important to clarify what a blog is. The word ‘blog’ is a short form of the word ‘weblog’, which basically means a frequently updated personal journal or diary. Nowadays, rather than create blogs for use as personal diaries, people tend to create blogs to write about subjects they are passionate about. There are blogs for gossip, blogs about fashion, blogs about cooking, blogs about weightloss, blogs about raising kids, you name it. If someone is passionate about it, there is probably a blog about it. How do people make money from blogs? So, in the past people blogged as a hobby, but the internet evolved to change all of that. Google, (the service we use to search for information for free) decided to offer bloggers the opportunity to place advertising sign posts on their blogs, but it didn’t end there. Google also offered to pass on to the blog owner part of the revenue which the business paid it for adverts. This step was revolutionary, and added an incentive to the art of blogging. People could not only write about their interests, but now they could make money doing so. Google Advertising Program. This is the easiest way to start earning money from your blog before you figure it all out, and the good news is that all countries are accepted to this program. Basically, you sign up to Google’s advertising network and you receive a code which you can all over your blog. This below is what it looks like. If you click on this advert, I will get a few pennies. If 1,000 people find this post and click on this advert, you might make me £20 – £50. Your personal advertising program. So instead of Google adverts, in this case call the shots and charge businesses your own fees to display adverts on your blog. This is also very easy to set up. You just need to ask the business to send you the image they want you to display, and you save it to your computer and upload to a particular area. In 2012, I contacted Linda Ikeji, a popular Nigerian blogger about advertising and she sent me her ad rates below. If these rates are still valid, she has 4 headers on the front page (N300,000 x 4 = N1.2m), 1 background ad (N450,000) and 20 sidebar ads (N200,000 x 20 = N4m). This is roughly N5.6m monthly. She can do this because her blog is well established. Affiliate program. An affiliate is a marketer. With an affiliate program, you sign up to market a company’s products on your blog and the company provides you with a special link. If anyone clicks on this link and makes a purchase, you earn a commission. I have earned N300,000 in the last 3 months as an affiliate for a certain company paying affiliate commissions in Nigeria. 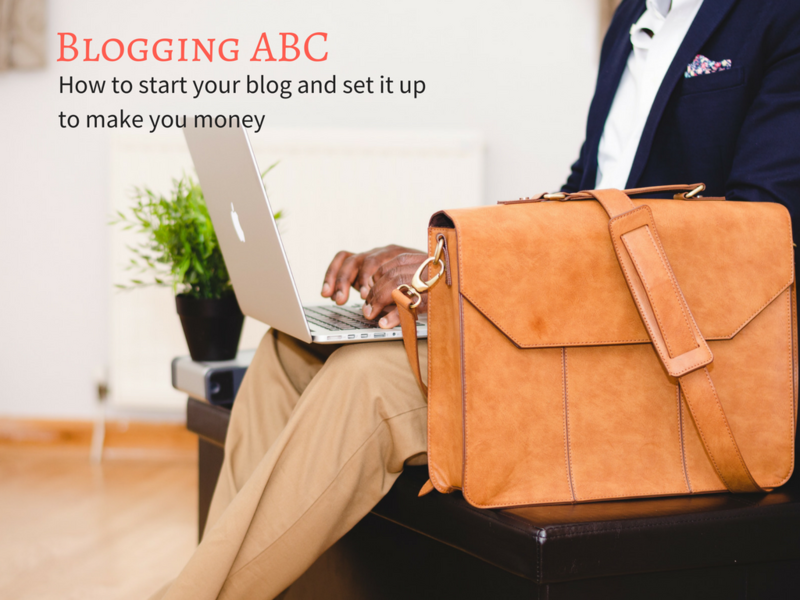 Now that we have proven that blogging is a very profitable career path, how do you get started with building your own blog? Step 1: Think of a domain name and register it. Your domain name like (Yahoo.com, MercyJohnson.com or Superherokids.com) is where people will go to find you and your content. Even though they might be a small UK company, I prefer TSOhost.com to the big guys because they are extremely reliable and their customer service is second to none. When you are navigating this for the first time and are not very technical, if you run into problems, you need a company that can focus on solving the issues and making you happy. Their customer service is open until GMT 11pm, and I have had situations where reps have logged into my site (with permission) and fixed things for me. The other host I was with, which was a much bigger, much more popular company used to add additional recurring charges when I asked for support! They would sign me up to things I didn’t agree to, once they figured out I wasn’t to technical. So, I cannot stress the importance of a good host enough. This would help you focus on your site, and not on problems with your web host. Type your desired domain name in the top right hand corner to find out whether or not it is available. If it isn’t available, you will get suggestions for other endings (e.g garri.blog, instead of garri.com). It is always a good idea to try and get a .com domain name as this is easier to remember for a lot of people. Once you find what you are looking for, add it to your cart. Click on the link above, and in the checkout area, use the code “unchainable” to get 10% off hosting. Select the £4.99 package because you get a free domain with this. It automatically removes the charge on the domain you added earlier. Further more, on the right hand side when you have “Promotional Code” enter “unchainable” and you will get 10% off. This will bring the price further down to £4.49 a month. Once this is done, you will receive some welcome e-mails, as well as a panel (Control Panel) login. The control panel is a separate secure site which acts as the main engine for setting up your blog, and you only need to set it up once. To administer your blog, add posts etc, you will need to log into your blog directly. Scroll down to the bottom and you will get a box that says “Install Applications” which looks like this. Click on it. In the E-mail box, enter your e-mail address so that you get your username and password sent here and click on “Install Application”. This might take a few minutes so please be patient. Once this is done, you will get a page with your new username and password. Go to www.mynewwebsite.com/wp-admin to log in for the first time and change your password. Congratulations, you have just single-handedly set up your blog! Next, let’s discuss how to set it up to make money.